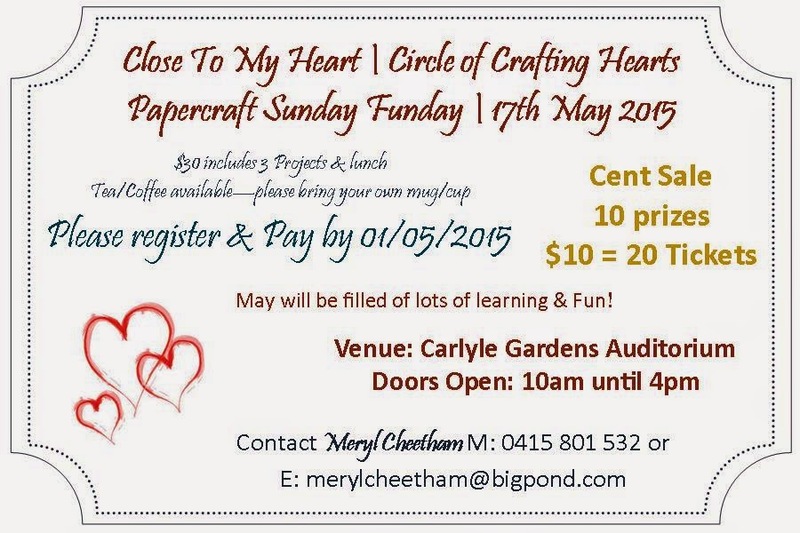 This promises to be a great day of paper crafting fun surrounded by lots of fellow paper rafters! $30 covers the cost of three projects to be completed on the day and includes a roast lunch. Please bring a cup/mug for tea/coffee [provided]. Great Cent Sale prizes of Close To My Heart products available [20 tickets $10] and a great grand prize draw of the Rolling Tote!